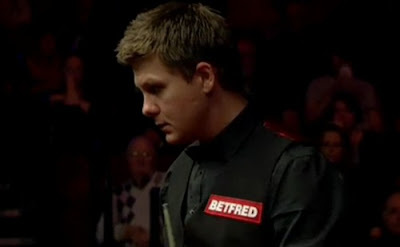 World Snooker Championship Day 8: Stephen Hendry defeated defending champion John Higgins to make quarter-finals. The seven-time World Champion took the frame he needed today with a break of 64 as he led Higgins by 12-4 after the two sessions of playing. Hendry won 13-4 and compiled his 18th Crucible quarter-finals. Hendry will play another fellow countryman, Stephen Maguire who had collected a 13-7 win over Joe Perry. "I've gone into this season not doing the right things on or off the table. You only get out of life what you put in. This season I've not done the right things and I've not deserved anything out of the game. Next year I'm going to try and rectify that and come back a more focused player and a better prepared player.'' 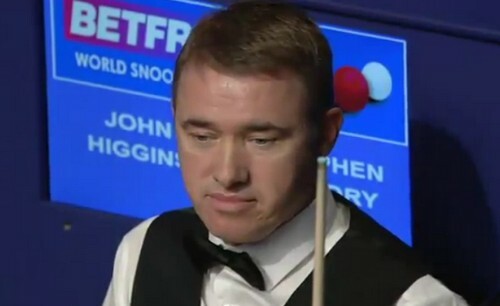 Higgins had won three titles last seaon but nothing this season. "Over my career I've been a bit of a winner and you don't like going through this, you've got to pick yourself up and try and win more tournaments, I got to prepare better for tournaments..
Ryan Day defeated Chinese qualifier by 13-7 after a disappointing second session for him. Day's advantage reduced to two frames only as Cao won 5 frames out of 8 played during the second session, only trailing by 7-9 behind. The Welshman produced a fantastic final session, taking four frames he needed before mid interval to win the match with runs of 113, 53, 87 and 119. "I scored well, I started really well and kept the pressure on him this evening," said Day, who was 7-3 down to Gerard Greene in the final qualifying round but hit back to win 10-8. "I was lucky enough to get some good scoring opportunities and of all the sessions I've played so far, I felt that that was the best.'' Day will face either Matthew Stevens or Barry Hawkins next, "It would be nice to play Matthew but me and Barry are good friends as well so let the best man win. Ronnie O'Sullivan stepped up to lead 5-3 after being 2-3 down on Mark Williams at the end of first session. Ali Carter had an two-frame advantage over Judd Trump overnight. Both matches resume at 2.30pm on Sunday.